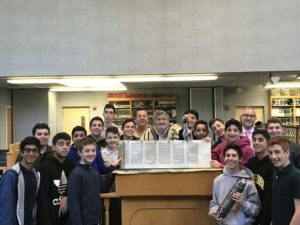 North Shore Hebrew Academy (NSHA) middle schoolers will celebrate a milestone when 18 eighth graders and four alums, both Ashkenazic and Sephardic, chant the Megillat Esther, the Book of Esther, for their schoolmates, faculty and families, in a special assembly on Purim day, Thursday, March 21. 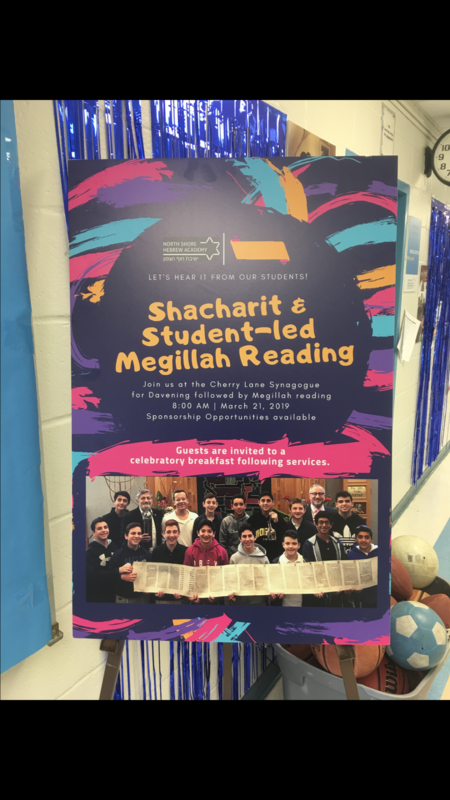 What makes this year extra special is that it will be the chai or 18th year that students have chanted the Gantze, or entire, megillah. 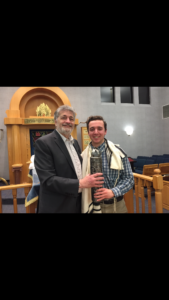 During the past 18 years, more than 300 students at NSHA have been instructed by Dr. Paul Brody, a Great Neck Estates resident and dermatologist, who’s pictured wearing the tallit, or prayer shawl, of his maternal zayde, or grandfather, who convinced him to learn how to read the Gantze megillah. Dr. Paul Brody (center) is surrounded by students and Head of School Rabbi Jeffrey Kobrin. 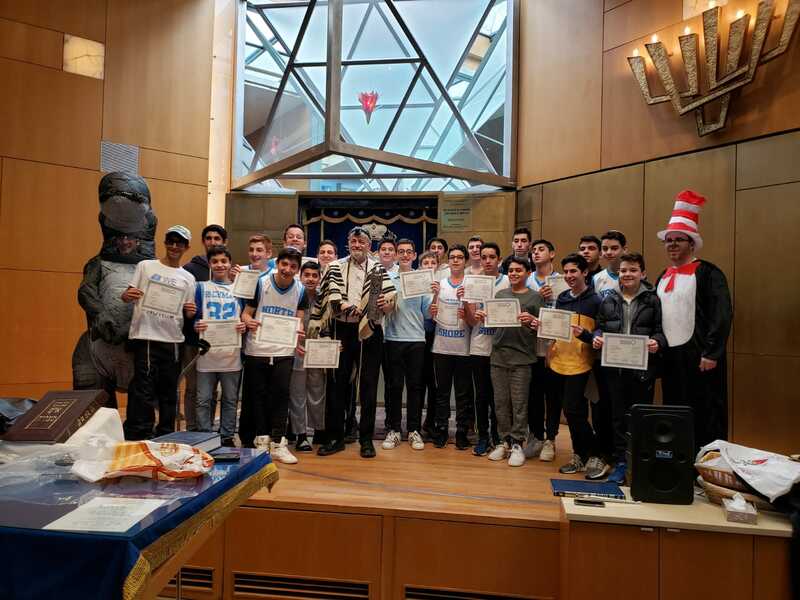 Introduced by Brody in 2002 with then-Middle School Principal Rabbi Dr. Michael Reichel, this unique program has become part of NSHA’s curriculum, enabling students to read the megillah at various synagogues, hospitals, nursing homes and private homes for those unable to attend public readings. 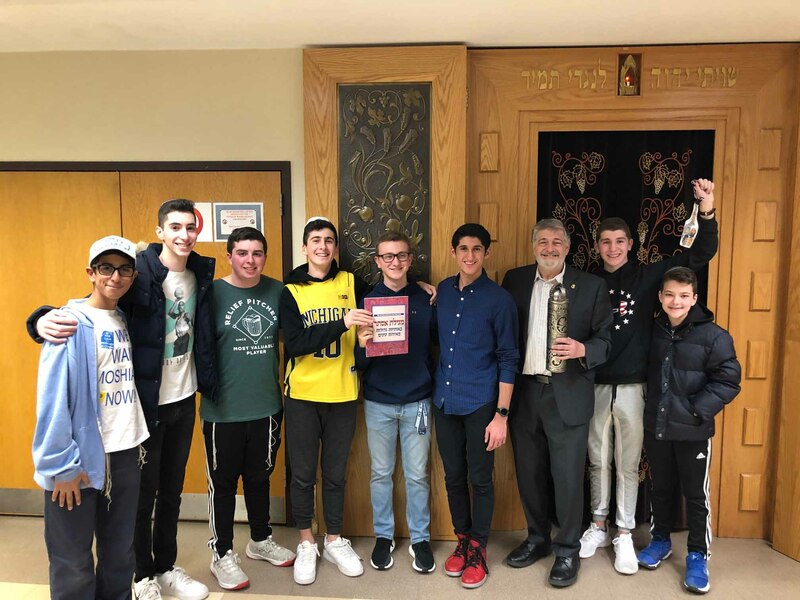 This year, Brody recruited and coordinated nine NSHA alums from 2015 to 2018, who he previously instructed, plus two current eighth graders—and reviewed the individual portion with each of them—to share a megillah reading on Purim night at the Great Neck Synagogue (GNS). 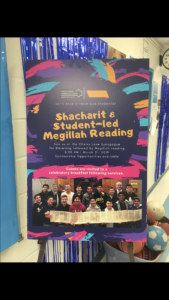 Eli Mendelson, a Class of 2009 alum of the megillah program, will follow this cadre of NSHA alums and chant the Gantze megillah at GNS’s late reading. 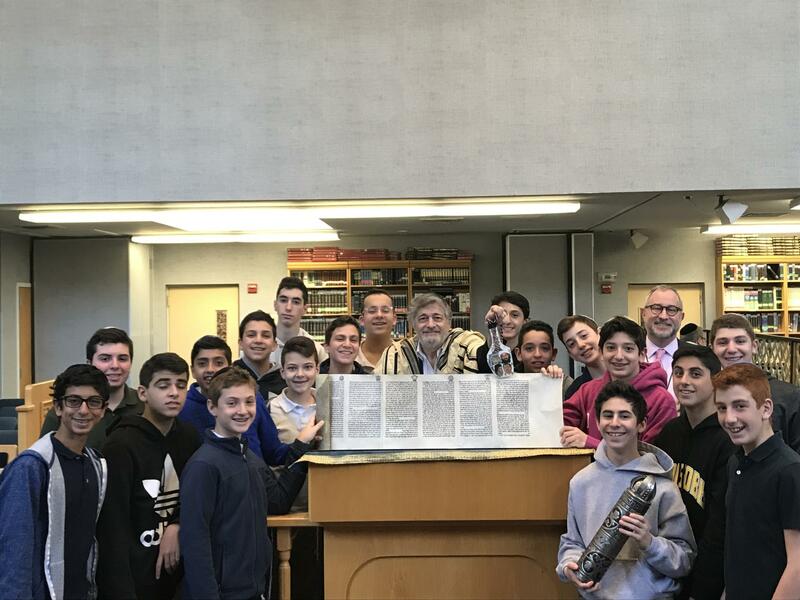 NSHA Head of School Rabbi Jeffrey Kobrin and Middle School Principal Rabbi Adam Acobas, who makes the initial recording for the Sephardic students, facilitate the students’ hectic schedules to enable adequate review time with Brody. The students have achieved a distinctive accomplishment, joining a small, qualified group who possess the knowledge to publicly chant the megillah. 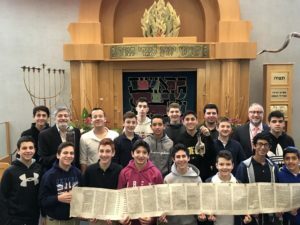 Brody, who has read the megillah for more than 45 years, first lained, or chanted, it in 1973 at the Young Israel of Kew Gardens Hills and continued to read it there, as well as at Kehillas Aderes Eliyahu, Rabbi Teitz’s shul, until 1993 when he and his family moved to Great Neck. 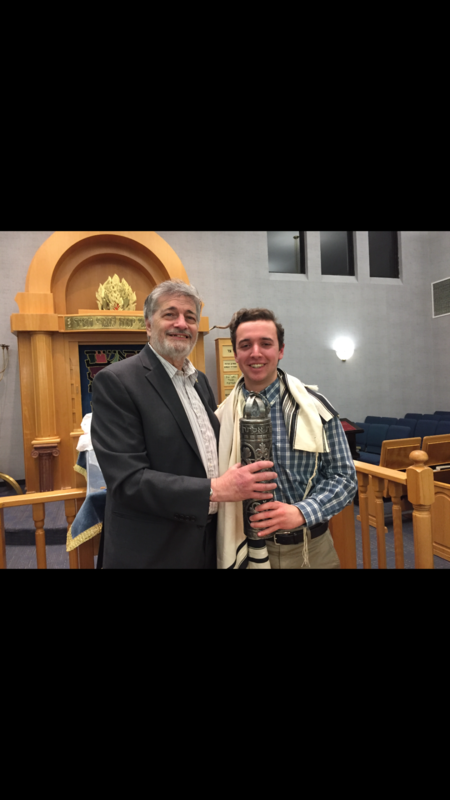 He has chanted the Megillat Esther at GNS ever since. 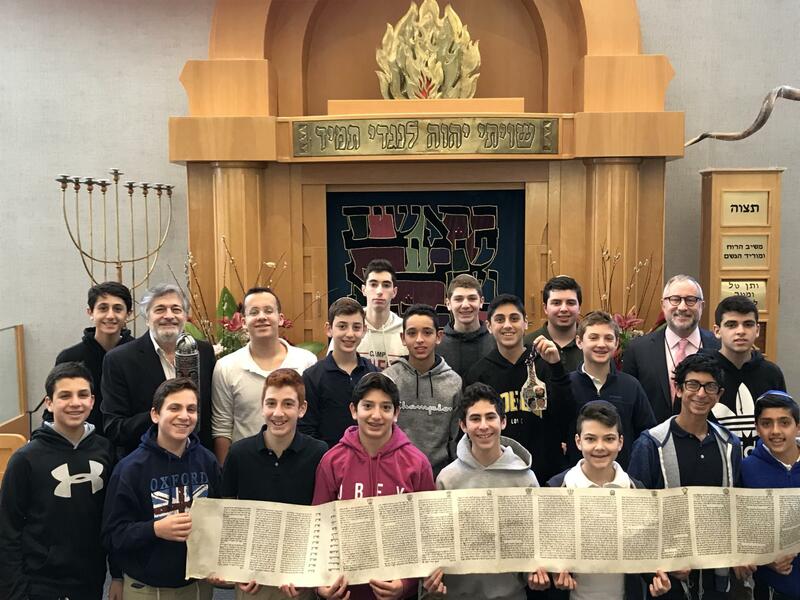 Despite great peril, Brody also had the opportunity to chant the megillah at the Great Synagogue in Leningrad in 1985, where the “gabboyim or sextons were actually members of the KGB. 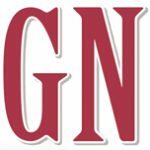 Better read than dead,” he figured.